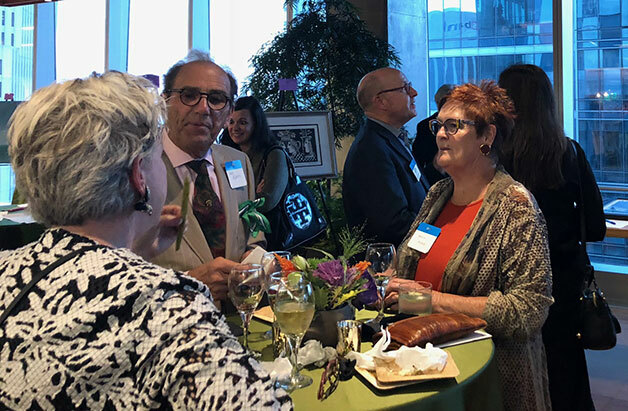 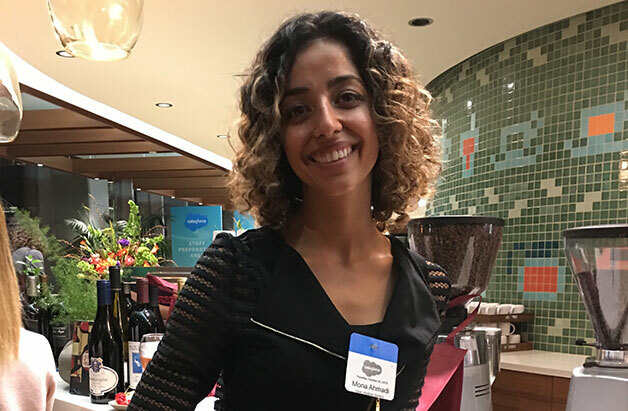 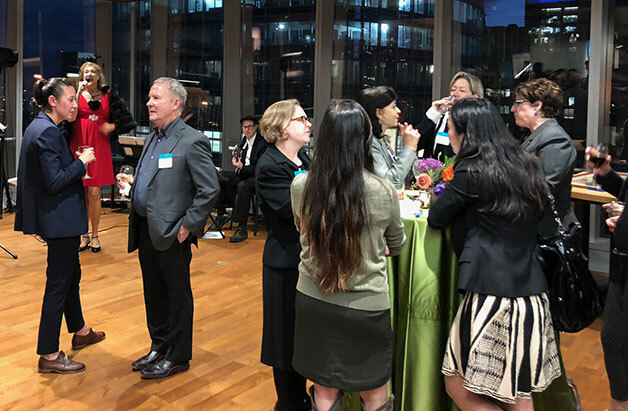 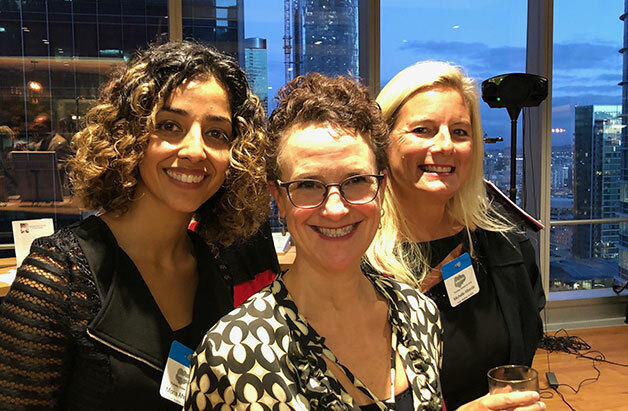 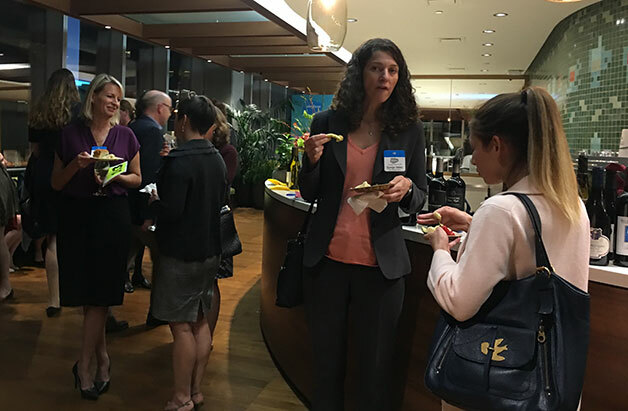 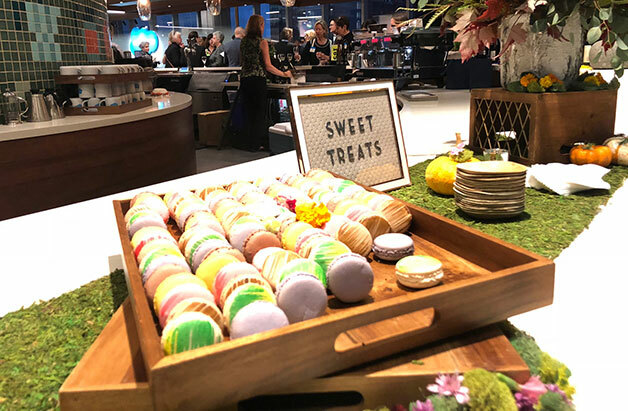 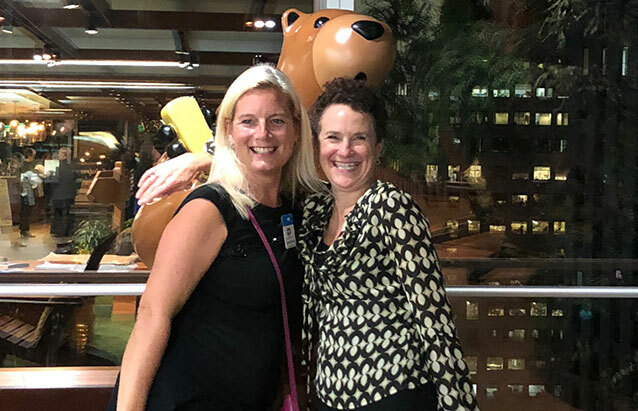 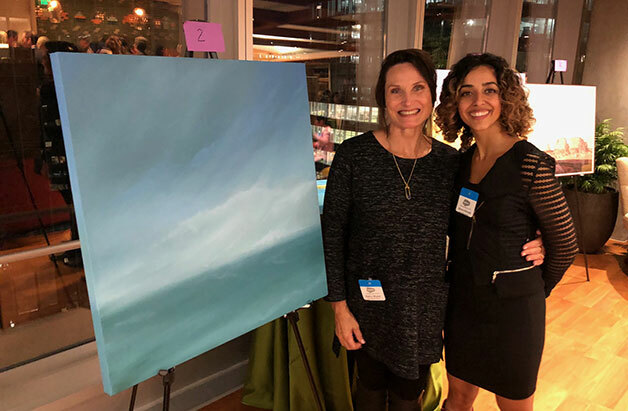 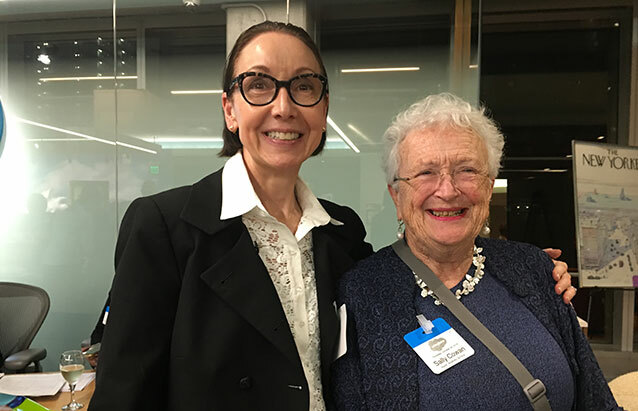 On October 4th, over 100 people gathered at the Salesforce East building for FWSF's annual endowment auction event that featured live jazz, wonderful auction items, catered appetizers and premium wines. 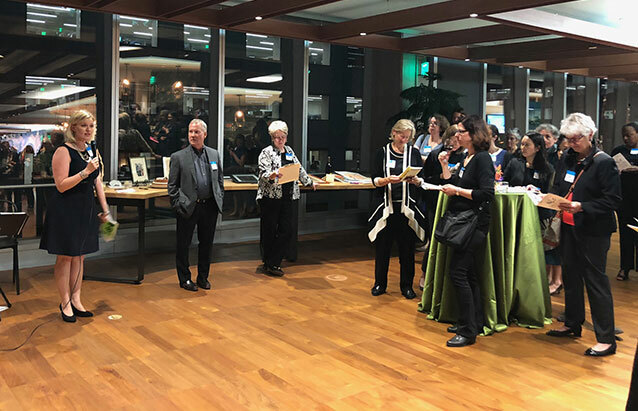 Thanks to co-chairs Mona Ahmadi and Bill Haraf, endowment committee members, and numerous other FWSF members who contributed donations and their hard work to bring it all together. 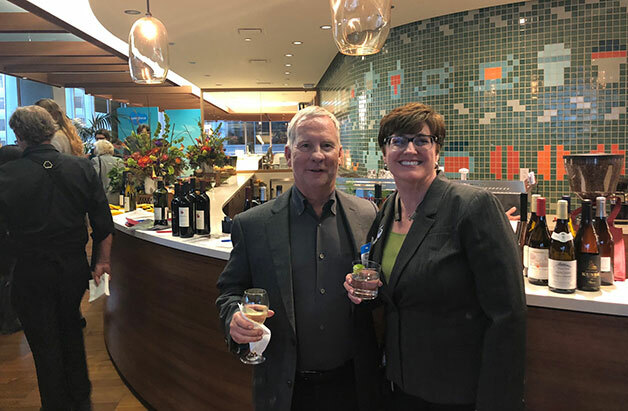 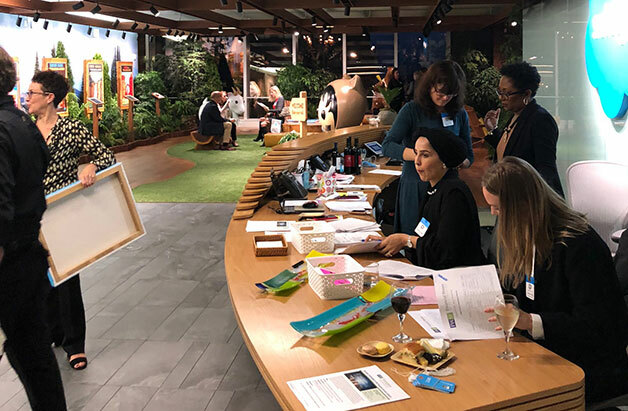 Over 50 items were sold in both silent and live auctions, including breakfast with Mark Hawkins, president and CFO of Salesforce, a weekend at Honig Winery and two beautiful fused glass platters created and donated by our 2018 Financial Woman of the Year Heidi Roizen. 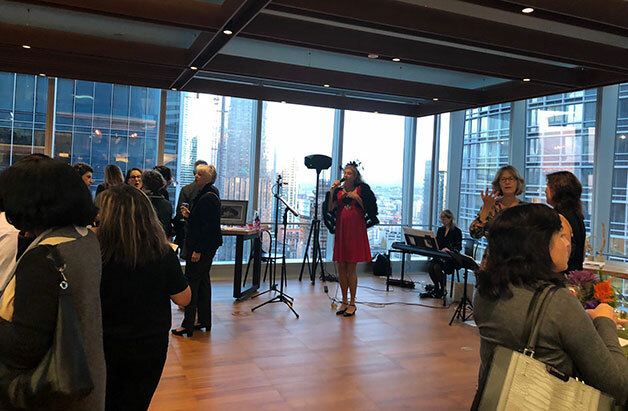 Auctioneer Frank Bizzarro kept the action going, going, gone as he encouraged higher and higher bids for the live auction items. 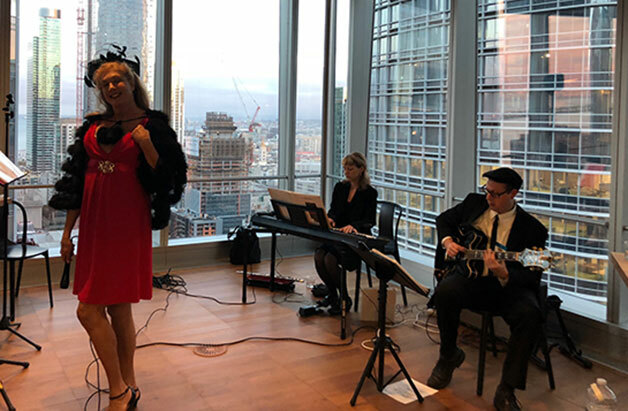 The Jelly Roll Jazz band, with lead singer Denis Blondeau, entertained the crowd with their swinging 30s and 40s music. 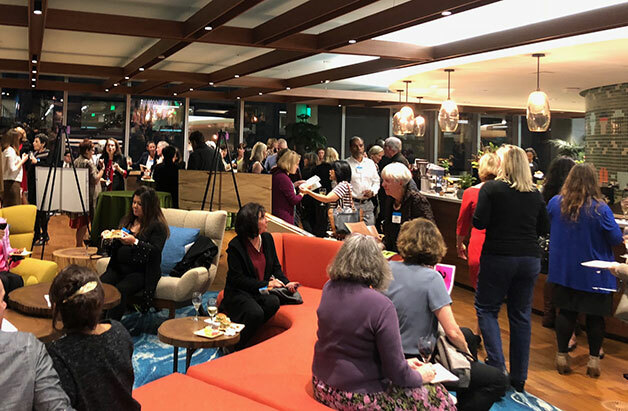 The room was full as endowment donors were welcome to bring a guest and there were also many current and past scholarship recipients volunteering and attending. 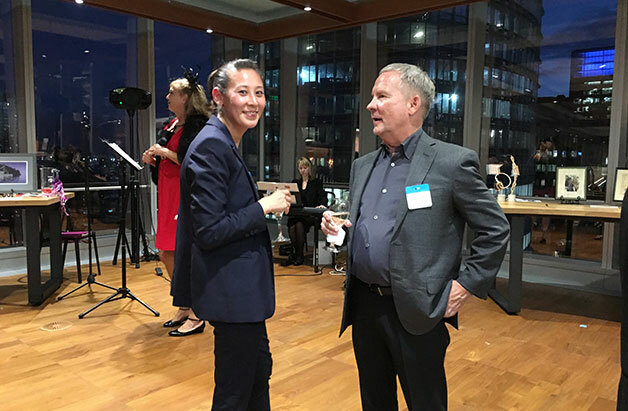 Over $20,000 was raised to benefit the FWSF Scholarship Endowment Fund. 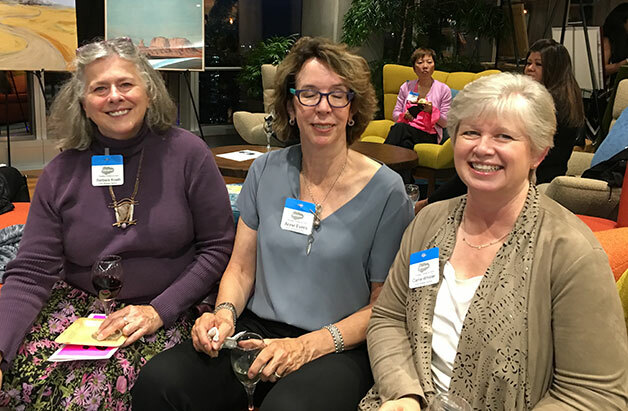 To learn more about the FWSF Endowment Fund, or better yet to donate, click here: https://financialwomensf.org/fwsf-endowment.